The name Murder Point comes from a well-known local story about two oyster farmers, an oyster lease, and a murder. 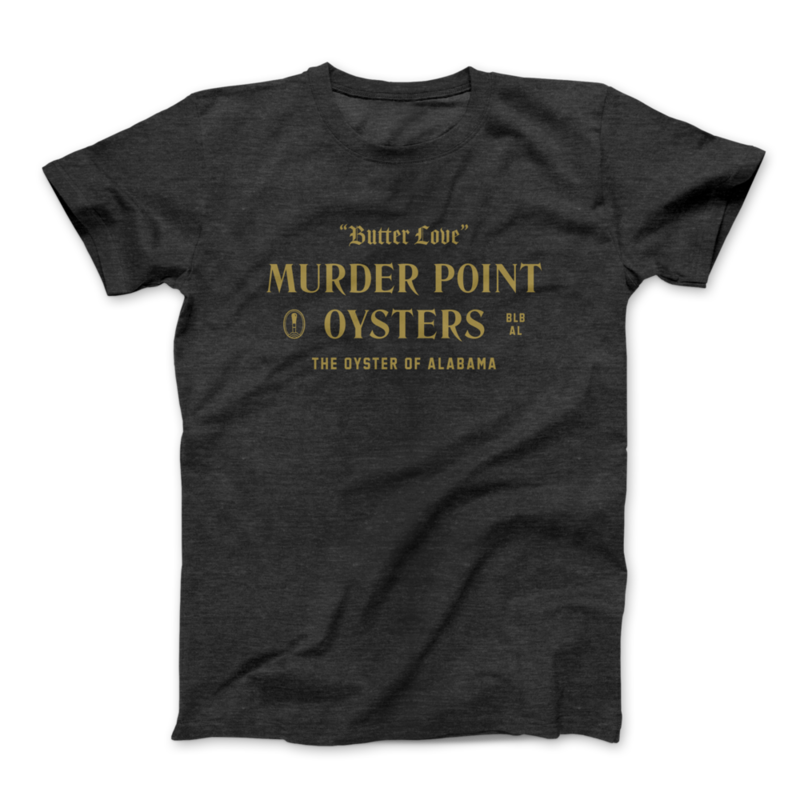 Murder Point Oysters is an oyster company located in Bayou La Batre, Alabama. 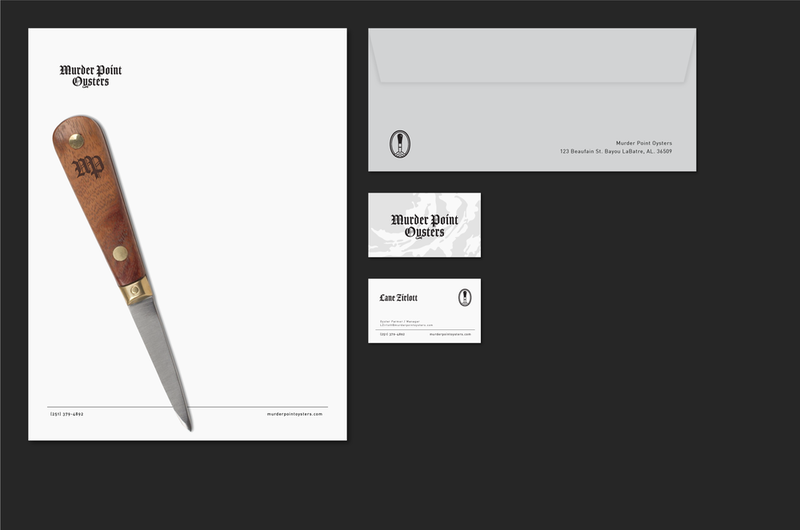 Murder Point is owned and operated by the Zirlott family. The company's name comes from a story dating back to the 1920’s where a man was killed in a fight over the best oyster plot in town. 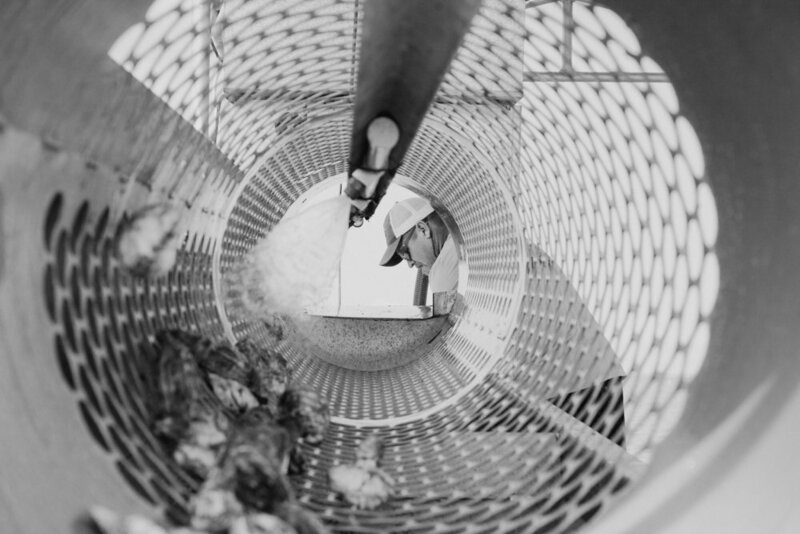 The brand identity draws inspiration from this story, the Zirlotts, and the craft and expertise that goes into Murder Point Oyster's unique farming method. 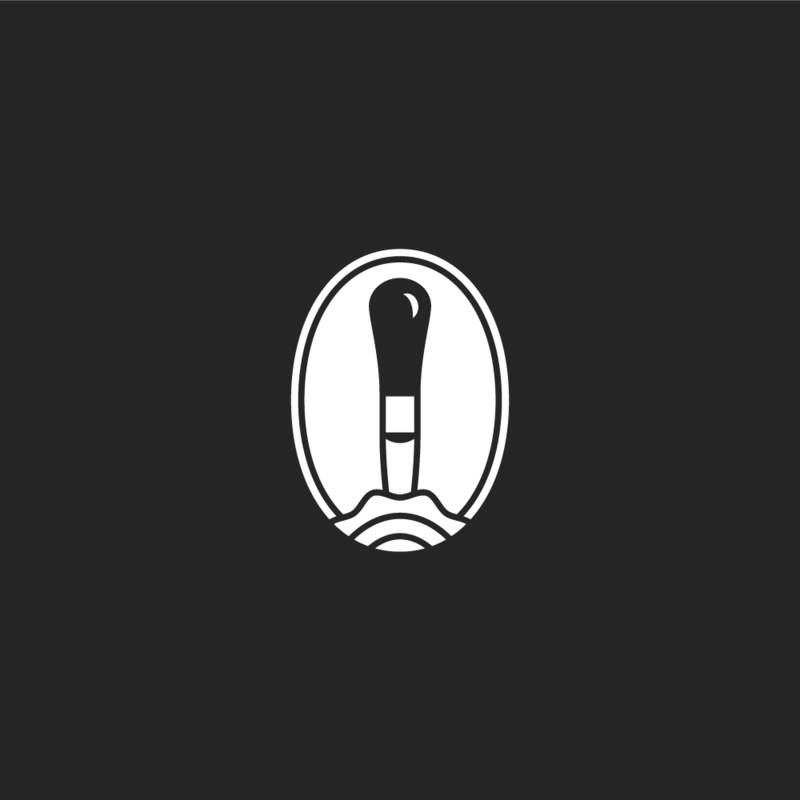 The icon and typography evoke macabre imagery to further expand on the grim name. 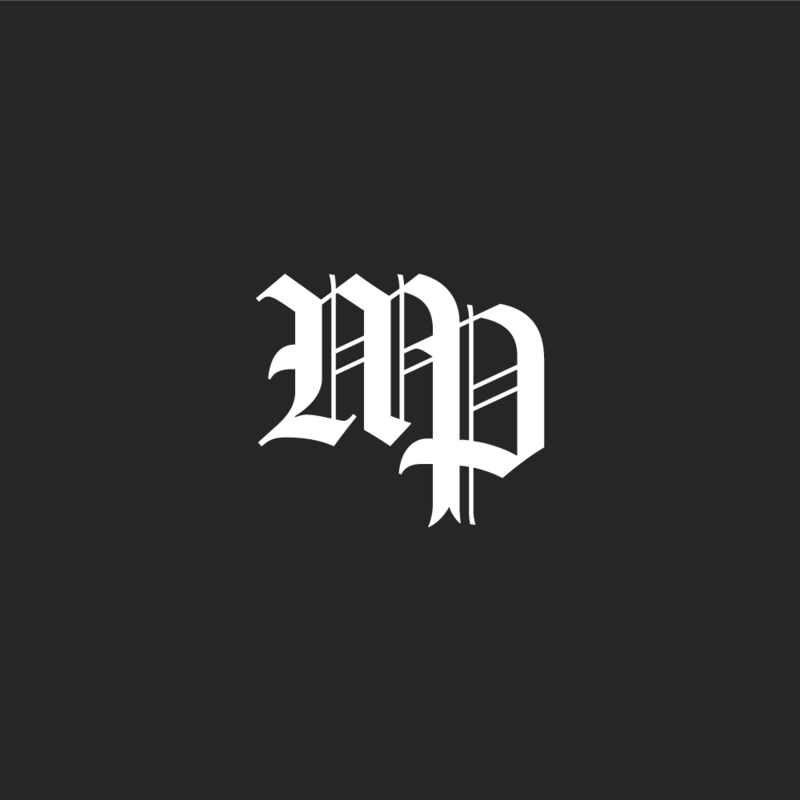 Blackletter was used to relay trust and age. Trust because of the extensive knowledge the MPO team has when it comes to raising oysters. Age to represent that the Zirlott family has lived and farmed the Gulf of Mexico for five generations.